Players who do not have proper documents as per AICF rules** may kindly avail this opportunity to clear their age related issues. Such players may register with AICF immediately. Further, this test may take two days and you are therefore requested to book your return tickets accordingly. The expenses in connection with the medical test will be Rs.4,000/- approximately. This amount should be remitted to AICF office along with your undertaking. Travel expenses, local transportation and boarding & lodging will be borne by the player. The amount may be paid on arrival to AICF by Demand draft favouring All India Chess Federation, payable at Chennai. On arrival at Chennai you are requested to kindly report at 09.00.A.M. 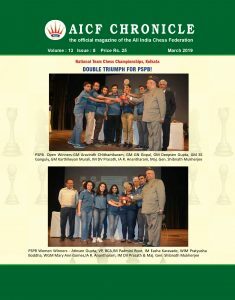 on 14th February at the All India Chess Federation’s office Room.No.70, Jawaharlal Nehru Stadium, Chennai – 600 003 ( Near Chennai Central Railway Station ). Parent of the Child will be required to give an undertaking to undergo the test. Hence the Child should be accompanied by the Parent. Please be informed that players who do not have proper documents as per AICF rules and does not attend the test will not be allowed to participate in any age related tournaments in future. All State Chess Associations are requested to ensure that their players are informed of the above and to take steps to eradicate this age fraud menace under their jurisdiction. Please be guided by the above. 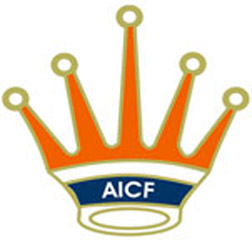 (n) Date of Birth certificates registered within one year of the birth of the child alone will be recognized and allowed to participate in age group championships by the AICF and all affiliated members of AICF. (O) Players shall present themselves for Medical Test to determine their age at any time when called upon to do so by All India Chess Federation of its affiliates. “The AICF will have the powers to arrange for Medical test to determine the age of any player at any time if there is a suspicion, particularly for those who wish to participate in age group tournaments abroad”.